…..Crossing the River Tigris to one God..
To my followers I want you to keep in mind I am not reinventing the wheel but interpreting what is already before my eyes. I interpret all things in the spirit of the Words before my eyes and not in the flesh there is a difference. I have spent years and thousands of hours to understand the spiritual side of the Word. What I am presenting now with the Leningrad Codex is the border between Oral tradition and Written tradition the ancient Semitic/Hebrew, a simple language, there are only 22 images to convey how they saw things in the spiritual realm, 3000 BC. What I interpret is for you the man is in the present tense. The woman is in the Word but then she is not in the Word. Her spirit remains in heaven and her soul was sent to us to give us life. You may not understand that but someday you will long after I am gone. Her is a possessive determiner…denotes importance>> the dwellings of man. def. roll>roll away…the flaps of a tent to get inside……The measurements you are seeing reflect a tent it is 30 foot long and 15 feet wide>>you unroll a tent to raise it up. the word her is referring to the dwellings the houses that men lived in at the time a tent a sanctuary. We live in houses or apartments now days. 3…..and he is saying to me this the execration the one going forth over the surfaces of all of the land that every of the one stealing from this according to her he is innocent. Her>> when a man becomes evil his words become royalty to others that listen to him. Man is like a king and his words are his queens. averment >>an affirmation or allegation. In this sentence you have a juxtaposition of images. Her is the Woman that sits on the right side of Yahweh/Salvation ie…..
She is not a possessive determiner what this means. Man creates words of evil ie….open borders these words become like stones and over the course of time they will splinter like wood. Backstop my analogy against the 10 Commandments of Moses. It violates every precept ascending from 10 to 1. Common sense if God was going to save the whole world you would not have heard of the story of Noah’s ark , he would have saved the whole world. If God was going to save the world then why is America and Europe falling? Jeshu himself told you in John 17, I did not come to save the world but the children who He sent to me. She also means when, men give up their authority, as men, the nature of God, they become effeminate they became weak. Saying, I take the position opposite the 10 Commandments and I teach you to steal or sell drugs this is what it means were it says that, men lust after men, it has nothing to do with sleeping with men. I made my words of stealing sound like royalty in your ears, you lusted after the authority of my words. For the woman were it says they use the unnatural use of their bodies means, they know stealing is wrong, but they let their soul, their spirit, to give in to my words because they sounded like royalty. You let me destroy the seed of life, Her the averment of Yahweh of hosts. This is a lot to take in so I will stop here and pick up verse 5 and beyond in next blog. Reading from the right to the left, the first image is woman of one seed, the middle picture is God with the Cross underneath it, to the left is man. What this means is that the Salvation of Man, rests with the seed of God the Woman the mother of all living one the helpmeet of God the cherubim that guards life. Yahweh, God ,the Woman always sits to the right of man’s salvation and redemption she is a spiritual being men were born dead and have to have life breathed into us. The woman breathes life into us in the spiritual realm of heaven. The past is your present not your future, your future comes from your past. Reading from the right to the left, the Woman sits on the right side of man. Woman was built for the human by the hands of God for man to serve her and together they serve one God. She was made from the bones of God not from the bones of man. Seeing is believing. Man is to cleave to the Woman. Gen: 2…….and shall cleave unto his wife: and they shall be one flesh. I am nether Christian, Jewish, Islam, Buddha, Hindu, I am Me from he who sent Me to you. The Tav and the Alpeha and God who watches over Me. This reminds me of the thingy I learned a while ago. Like the construction of the tabernacle. Set up the tent, and inside there is food and lighting, and a seat, and a curtain. Somewhere to get ready to meet and dine with the spirit. Like you would do to meet an important visitor or guest. Asherah, the wife of Yahweh, is the swelling place. The Home. 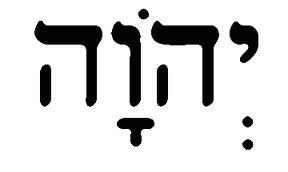 Shekinah, the consort of Metatron, is the spirit that descends from heaven to meet with the person. Or I might have gotten the names/roles mixed up… either way, Shekinah and Asherah are connected. Oh dear, I’ve forgotten. Wisdom is male and understanding is female. And the combination of the duality between them is what brings one to “god/dess” (gender doesn’t matter, the individual may use whatever one feels comfortable identifying). Hmm, one is a possessive determinate words. Asherah is a Egyptian goddess comes from Istar of the Sumerians. You would be the wife of Yahweh because you are soul and spirit in the flesh. Asherah was rock. Curious what is your real name?